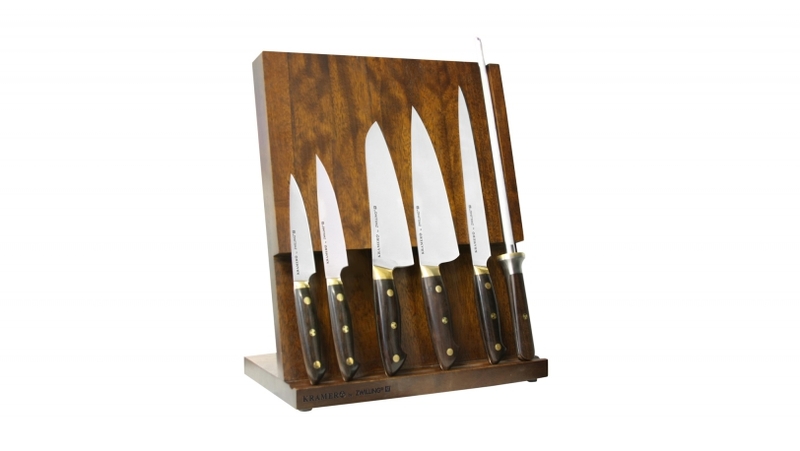 The Kramer by ZWILLING Euroline Carbon Collection is the first line designed with master blade smith Bob Kramer. Bob's design has an extremely wide blade to maximize knuckle clearance and to aid in cutting and chopping larger food items. A materiel nearly lost to the home kitchen, straight carbon steel requires knowledge and care to maintain. In return, owners are rewarded with a sharpness and keenness of edge that only carbon can deliver. The knives are finished with a traditional three step Japanese sharpening process. The outstanding blade is paired with a hand shaped Grenadille wood handle, brass rivets, and a Bob Kramer mosaic pin. 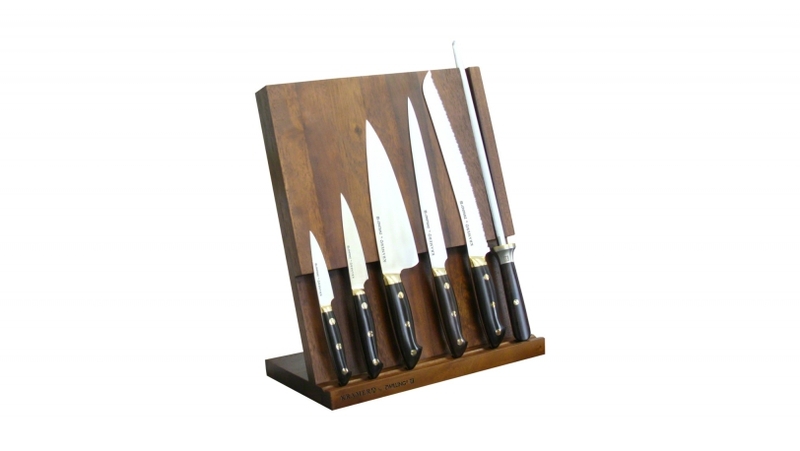 Set includes 3.5" Paring Knife, 5" Utility Knife, 9" Slicing Knife, 8" Chef's Knife, 9" Bread Knife, Upright Block, Sharpening Steel.